Seafood allergy is a general term referring to fish or shellfish allergy, or both. Seafood allergy is compared in severity to nut/peanut allergy and is less often outgrown than other food allergies. An allergic reaction occurs when our immune system treats seafood proteins as foreign bodies and produces antibodies (Immunoglobulin E) to fight them. Visit Allergies section to read more. Seafood proteins are very versatile. An allergic reaction can be caused by one particular kind of fish and shellfish. Sensitivity to fish and shellfish ranges from mild to the most severe. Some people's reaction may be to a tiny trace of seafood, others can eat some amount safely. Seafood allergy is known for its acute and in many cases fatal symptoms. That is why it is important to diagnose this type of allergy early in life. 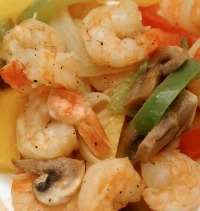 It is the reason why seafood is among the last foods introduced when your baby starts solids. If there is a family history of fish or shellfish allergies, the doctors recommend refraining from seafood until the age of three. In this case you should refrain from eating seafood while breastfeeding too. Aside from allergic reaction, weekly seafood consumption by a breastfeeding mother should be limited to 12 ounces. High mercury level types of fish (king mackerel, swordfish, shark, and tilefish) should be avoided. Visit Food Avoidance section to read more about foods to avoid while breastfeeding. Another concern is contaminants that seafood may contain. Buy fish in stores. If you are a fan of locally-caught fish, consult the authorities about safe fish types and water purity. Most common symptoms are swollen face and throat, hives, abdominal pain, vomiting, diarrhea, low blood pressure. First aid should be an adrenaline (epinephrine) injection. If your baby had anaphylactic shock as a reaction to seafood, analyze his/her surroundings carefully to eliminate potential triggers. Avoid the allergens going forward. Hives is a very common reaction to seafood. They might be harmless and go away on their own. Hives can be an early sign of anaphylaxis too. If there is a family history of seafood allergy, don’t ignore hives. Call your doctor. Many people allergic to fish and shellfish, start developing severe symptoms only if they exercise after eating seafood. If you are prone to allergies or had a reaction to seafood before, do NOT exercise for several hours after consuming seafood. If you have a family history of allergies or if a seafood allergy is suspected in your baby, breastfeeding is a must. Our immune system treats every object that comes in contact with us as a foreign body. As our immune system matures it learns to accept most of the “foreign” bodies. So if your baby is prone to allergies, the later he/she comes in contact with a potential allergen, the better the chances that the immune system will react normally to it. Most seafood allergies are never outgrown, but some are. By breastfeeding your baby for as long as you can, you increase his/her chances of living allergy-free! In addition, some food allergies reveal themselves only when the baby starts consuming formula. It is not a direct reaction to an allergen in formula, but the allergic reaction is triggered by the baby’s dietary changes. Seafood allergy can be tested with a blood or a skin test. Start an elimination diet if you notice allergy symptoms in you or your baby. Eliminate seafood products for two- three weeks and see if the symptoms go away. Even if they do, do NOT re-introduce seafood in your diet. Talk to your doctor first. Allergic reactions to fish and shellfish often increase in severity with every exposure. Visit Allergy Testing section to read more. Beware of cross-reactivity. 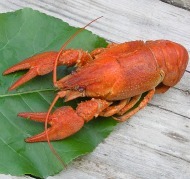 If you are allergic to one type of seafood, you may show allergic reaction to some other types. See list below. Read all the labels carefully. Seafood is among the easiest allergens to avoid. Just make sure the label clearly says what fish or shellfish type is present in the product. Living seafood-free can deprive you of some important nutrients that your breastfeeding body requires on a daily basis. Visit Nutrition section to read more and talk to your doctor. And remember, switching to formula, however easy it may sound in terms of your diet, may be an allergy trigger. Breastfeeding is the key to your baby’s allergy-free living! Read my story here.